Friel: I wonder if David was involved in this little snippet. Friel finishes by asking a couple of key questions, “Anybody wondering about the trajectory of Steven Furtick? Anybody where he is going these days?” If not, you should be. 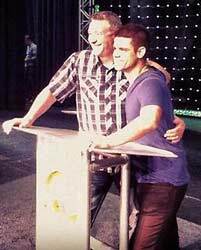 Furtick, a veteran of both of the Elephant Rooms, is exhibiting an obvious descent down from mainstream evangelical into quasi-Word Faith preacher. It really begins to become noticeable almost three years ago now when Steven Furtick Calls Joel Osteen A Great Man Of God. Then we have Furtick inviting a number of WF preachers to take the platform at his Code Orange Devival and culminating with his proudly announcing that T.D. Jakes Is My Favorite Preacher in The World. Whether you wish to acknowledge it or not, the fact is, Parsley is correct: Steven Furtick really is one of the most influential leaders among young evangelicals. 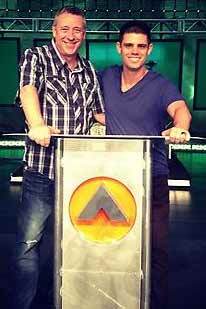 Just consider this for a moment; Furtick already had enough pull to land T.D. Jakes for his COD earlier this year. It would seem Parsley saw their meeting as something God orchestrated and will supposedly reap some “eternal benefit.” Since God is sovereign we know He allowed it, but I will offer that it’s not for the reason these two most likely think it is. This is further evidence of the de-evolution of the visible Christian community. T.D. JAKES’ SPIRITUAL DAUGHTER PAULA WHITE TO LEAVE WORD FAITH MOVEMENT AND DROP TITLE PASTOR? !